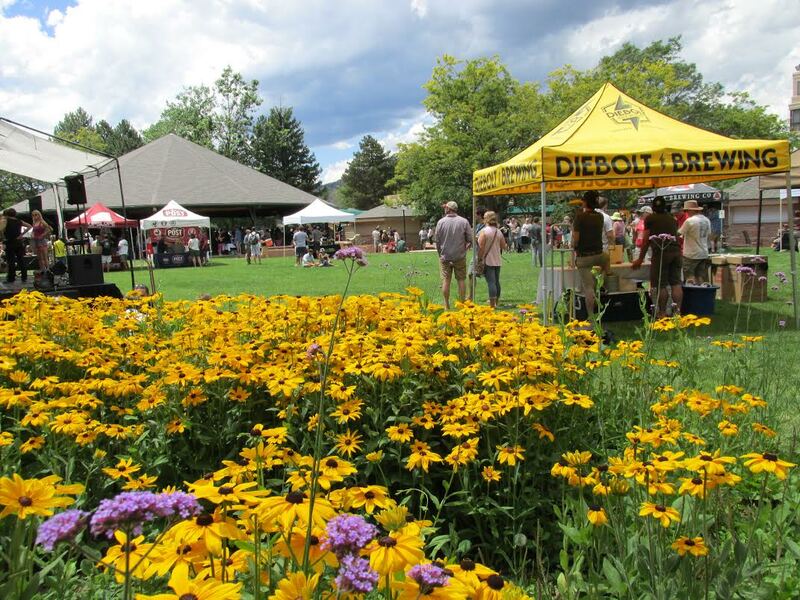 On Saturday, July 11, hop lovers headed to The Millennium Harvest House in Boulder for Jul-IPA Festival. The hotel, in conjunction with The West End Tavern, hosted over 35 breweries, each pouring samples of its finest IPAs. While the festival is in its seventh year, this was the first one I had attended. I am a big fan of hoppy beers, so when I heard about this event I immediately cleared my schedule and started looking forward to an afternoon of sun, fun and IPAs. The weather was ideal for a day outdoors, and there was a perfect mix of shade and sun at the venue. Several of the breweries’ tents were on the lawn where festival-goers could sip their beers while soaking up the summer sun, and others were situated under a large gazebo, which provided a refreshing break from the heat. 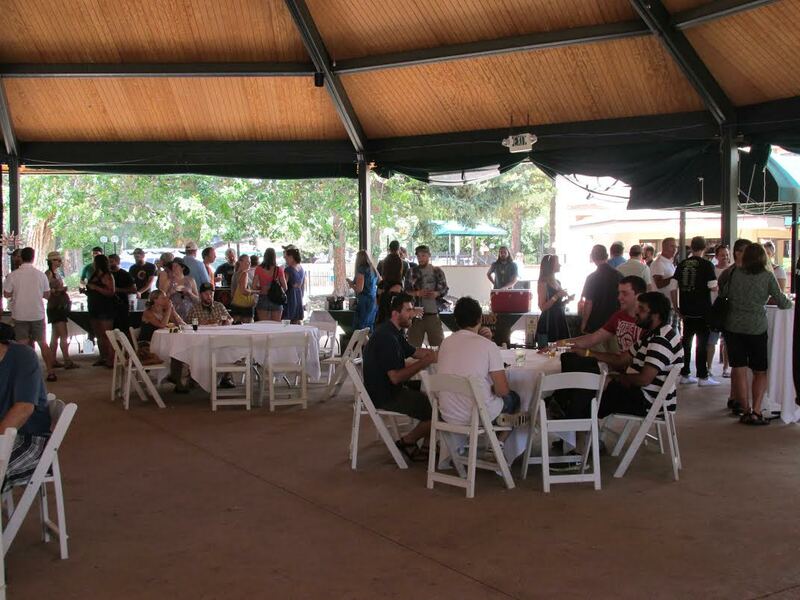 Additionally, there were plenty of tables scattered about the grounds for guests to relax with a beer and enjoy some of the West End Tavern’s famous BBQ. The majority of the 35+ breweries present were local with around five or so from out-of-state. Most of my personal favorite beers from the day were brewed in Colorado: The Maharaja Imperial IPA from Avery Brewing, FATE Brewing’s Moirai Coffee IPA and Weldwerks Brewing’s Double IPA, with one, Firestone Walker’s Double Jack, from California. I attend numerous beer festivals and events each year, and I have seen the good and the bad when it comes to venues, lines, and overall organization. 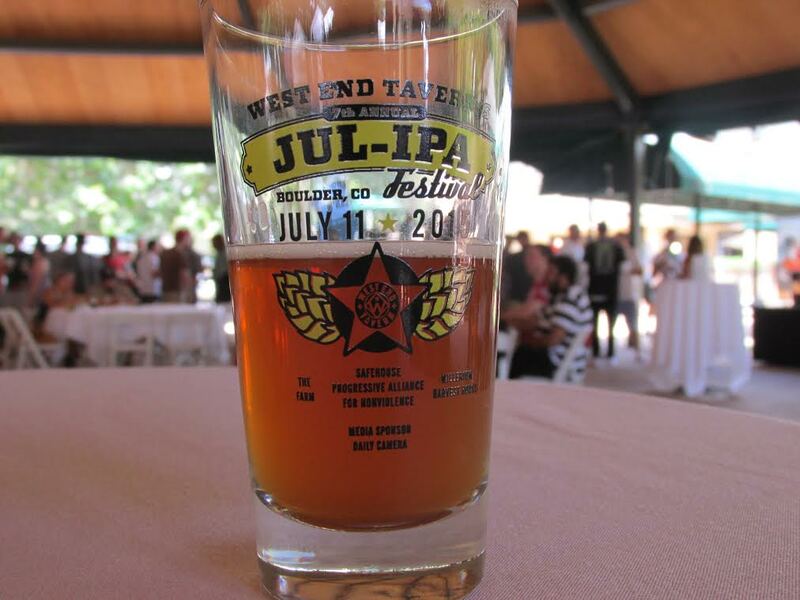 I am happy to say that I was genuinely impressed with every aspect of Jul-IPA. It was nicely spaced out with plenty of room for everyone, lines were minimal and beer and food were superb. I highly recommend this festival to those who are fond of IPAs, and I look forward to attending again next year. Great writeup, Leah. Sounds like a good event to attend!